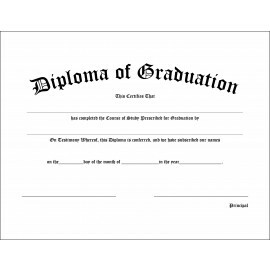 Gradshop's Elementary Graduation Certificates come in two types; the blank design and the custom certificates. Make your choice and order through our easy ordering system right now. With Gradshop, you are sure that what you're getting are the best quality graduation products at the lowest prices. Learn more about our elementary graduation certificates by getting in touch with our warm and helpful team right now!